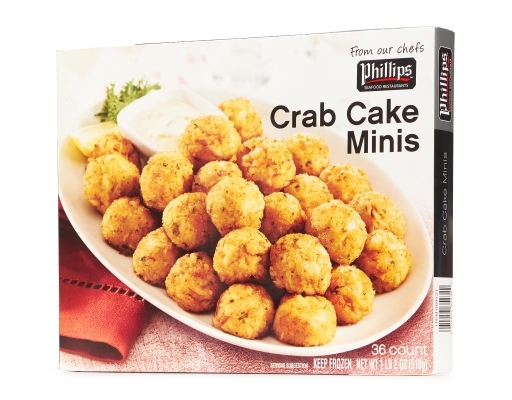 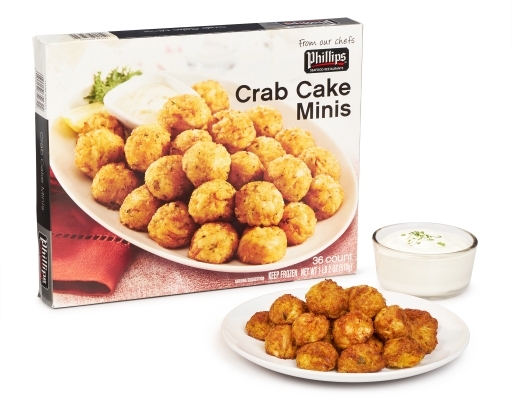 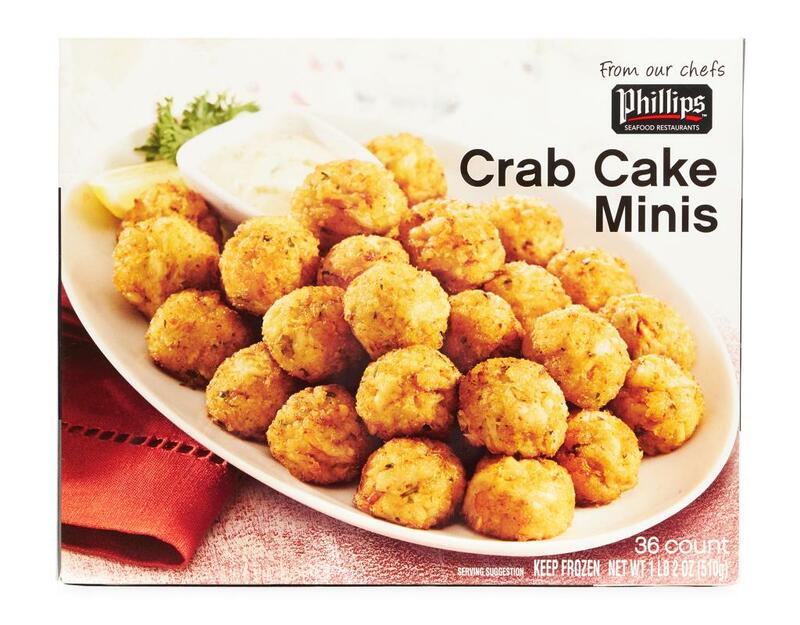 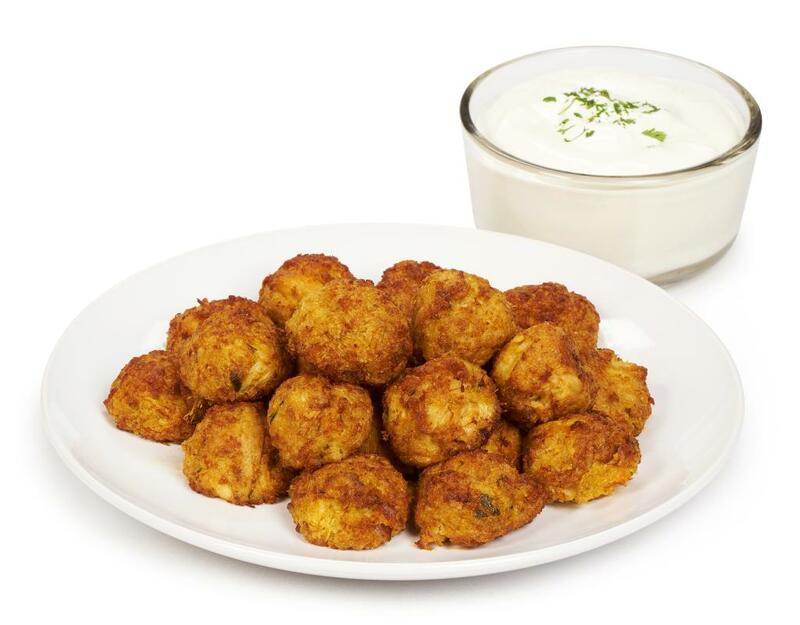 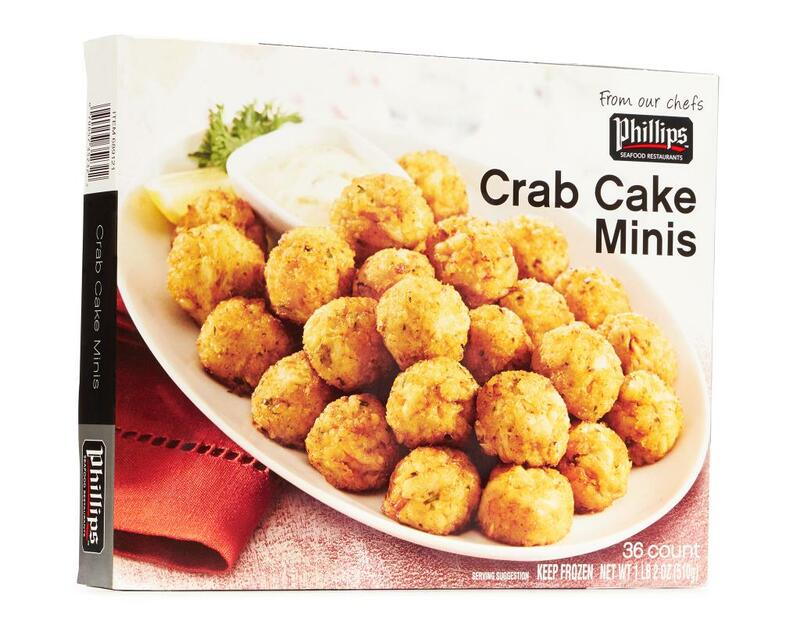 Made with Phillips’ famous restaurant recipe, these miniature cakes are made with sweet crab meat blended with a traditional mayonnaise-based sauce and seasoned with breadcrumbs, mustard, Worcestershire. 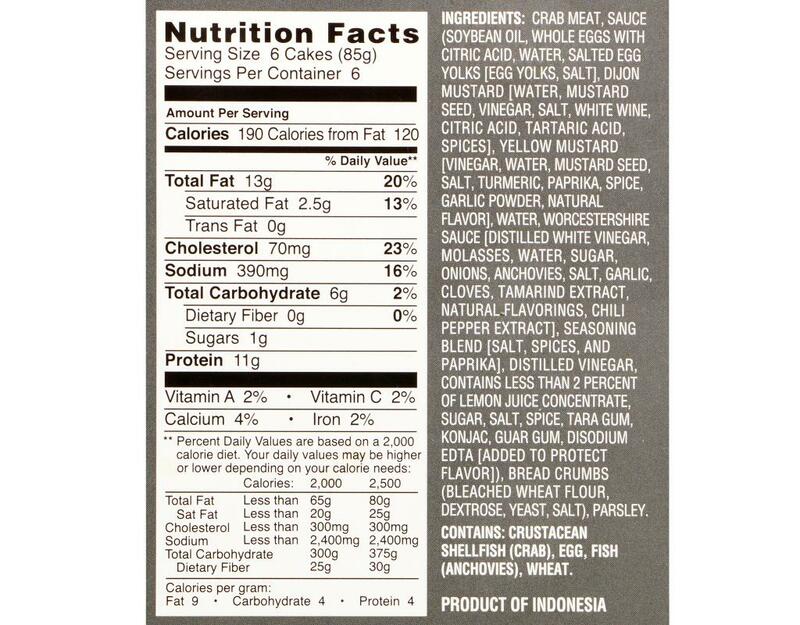 Crab Meat, Sauce (Soybean Oil, Whole Eggs With Citric Acid, Yellow Mustard, Water, Worcestershire Sauce, Seasoning Blend, Salted Egg Yolks, Distilled Vinegar, Lemon Juice Concentrate, Sugar, Salt, Spice, Tara Gum, Konjac, Guar Gum, Disodium Edta), Breading (Bread Crumbs, Parsley). 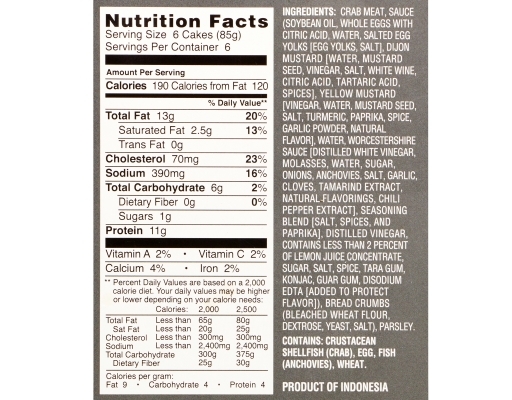 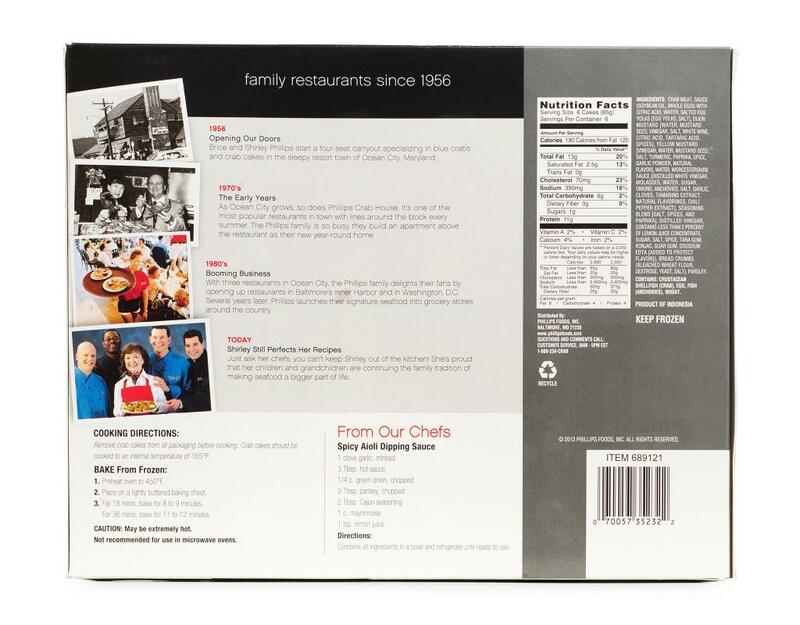 Contains: Crab, Egg, Anchovies, Soy, Wheat.